Exciting news has emerged this week involving the Managing Director of Vi-Ability Kelly Davies. 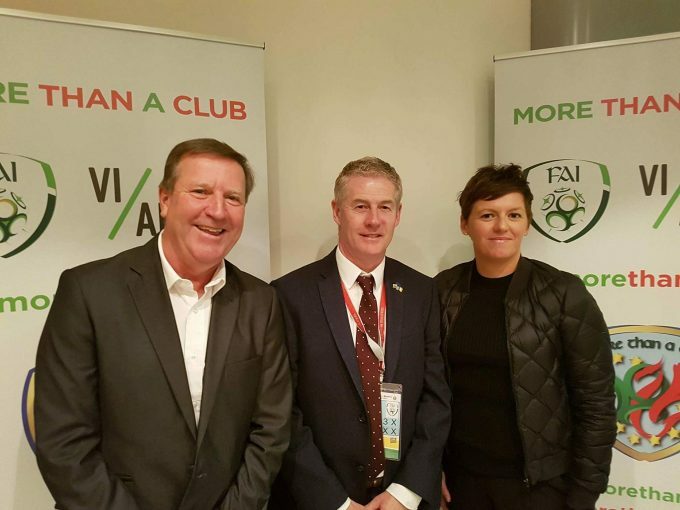 Vi-Ability are project partners of the Football Association of Ireland in delivering the EU funded project, “More than a Club”. Kelly has been named as one of the first Honorary Social Enterprise Fellows of Social Enterprise UK in recognition of her contribution to sports based social enterprise. The list includes many well-known social entrepreneurs and Kelly is certainly in good company! The “More than a Club project is supported by the Ireland Wales 2014-2020 European Territorial Co-Operation programme, which is helping to strengthen collaboration between Ireland and Wales to address common economic and social challenges. The scope of Vi-Ability’s work has expanded in recent years and this latest collaboration with the FAI aims to broaden the contribution of local professional football clubs in Ireland and Wales to the well-being of their local communities. 2017 will mark the 15th anniversary of Social Enterprise UK. In the last 15 years the UK social enterprise sector has grown, evolved and increased its visibility and impact considerably. The growth of the sector is due, in large part, to the individuals who work at its very heart, taking their own organisations from strength to strength but also playing a large part in shaping, guiding and championing the social enterprise movement as a whole. Social Enterprise UK wanted to recognise those who have contributed to creating such a diverse, thriving and truly impactful community from both within the sector and outside, and also those who are making great strides to drive the sector forwards now. This year’s fellows are chosen to represent the sheer diversity of talent from across the country and include well known figures, as well as those who have yet to be fully recognised for their contributions. Below are the individuals who will be recognised in the 2017 cohort of honorary fellows.